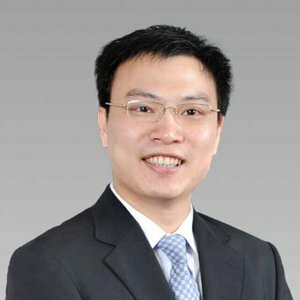 He used to be the general manager of the securities consulting headquarters of Henan Jiuding Desheng Investment Consulting Co., Ltd., chief securities analyst, senior economist, and national-level practicing securities analyst. 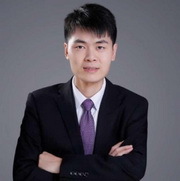 Since 1994, he has conducted research on China's securities market, focusing on rational investment, focusing on the combination of fundamental and technical aspects of the company. He has experienced many times in the Chinese stock market and has a good grasp. He has been engaged in corporate management for many years in state-owned enterprises, and has held senior management positions such as assistant to the chairman and deputy general manager in US-funded companies, Hong Kong-owned companies and high-tech enterprises. The industry involves industries, real estate, high technology and other fields. During his work, he was awarded the title of “National Quality Advanced Workers in 1994” and the “Advanced Quality Workers in the Coal Industry”. Over the years, he has published more than 10,000 articles on securities, financial reviews, real estate and quality in national, provincial and municipal newspapers. A variety of honors, the contemporary economist of the China National Report Compilation Committee in 2000, was hired as a researcher by the World Research Center in 2001. 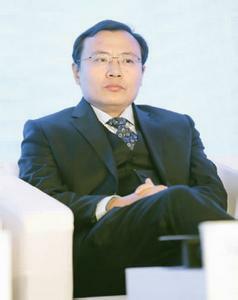 Since 2006, he has always kept the first title of the number of individuals in the China Securities Regulatory Commission's research report, and personally presided over the 200,000 words of the "China's listed company development country research report", "Listed company investment value report", "Henan capital market analysis", "joint venture securities company" Research and other professional books and papers, accurately predicting the top and bottom of the market, and the majority of the research theme varieties far outweighed the market, actively participating in Tianjin University, Peking University, Shanghai Finance The University and the University of California and other famous institutions such as MBA, DBA MBA, doctoral courses, and committed to the research of the development of China's securities market, for the healthy development of society and the company! Xiao Yuhang: What did the manufacturing PMI index show in January? And the letter to vote Gu Xiaoyu Hang: What is the deep meaning of the market? Xiao Yuhang: The Shanghai Composite Index releases heavy signals. The market has a technical rebound short cycle. Xiao Yuhang: The Shanghai stock index has a dark shadow in the bald head. Xiao Yuhang: Two major uncertain factors affecting the operation of the market. Xiao Yuhang: The three major stock indexes fell back to the 60-day moving average. Pay close attention to the changes in the two types of indicators.